I mentioned the initial publication of our 2014/15 DRAFT BUDGET the week before last - see post here ... and touched on it again, in my September Leader's Report. Please do provide feedback via these mechanisms and/or do keep an eye on those web-pages for further details of the upcoming Neighbourhood - and other - meeting dates. Of course, you can also speak directly to one of your local Councillors - all their details can be found via here - and if you're in Ward 9 Fountainbridge/Craiglockhart, then my own contact/surgery details are here. And, just a final reminder, that you can feedback your thoughts right up to Friday 20th December 2013; and the Council will thereafter set its actual budget for 2014/15, at a Special Council Meeting on Thursday 13th February 2014. No time for digging-up any veg. today, but hoping to get the last of the 'tatties' excavated next weekend ... I noticed that it was around this very time last year when we dug up the last bed! ... all the Reports are now available via Committee Papers On-Line (CPOL): main agenda here, and individual reports here. As you'll see, it's a relatively light agenda - which probably means the meeting will go on for hours! ... but of undoubted (serious) interest will be the full Tram Report, which you can access here. It will also be archived and available for viewing a couple of hours after the meeting closes. The Scottish Government’s decision to locate the new £30m National Performance Centre for Sport in Edinburgh is great news for the city. As my Coalition colleague, Cllr Richard Lewis, described in a column earlier this week, the successful bid by Heriot-Watt University (in partnership with the Council) will allow the creation of a truly world class sporting facility at Riccarton. While the main focus of the centre will be on developing Scotland’s next generation of top athletes, there will be ample opportunity for the local sporting community to benefit from both the high-level facilities and expertise. Congratulations to the bid team on a great result – and thanks to the thousands of individuals, businesses and other bodies whose backing was so valuable to the success of the bid. Confirmation that the city centre will be clear of tram construction works next month will come, I’m sure, as a huge relief to residents and traders while signaling that we are another step closer to the long-awaited completion of the project. The push to complete the works runs alongside the ongoing preparation for service, with testing between the Gogar depot and Edinburgh Park Station beginning in early October and full route testing from December. We now expect the service will be up and running for passengers in May 2014, two months ahead of the revised July target. Remember, you can keep up to date with the project by following @edinburghtrams on Twitter. Since forming the Capital Coalition last May, we have completely revised the budgetary processes to be much more open, interactive and accessible to all. Once again, we have published a draft budget well in advance, allowing months of debate and discussion before any final decisions are made. The proposals focus on our commitment to protect frontline services and maintain investment in areas which will provide more support for our most vulnerable residents. Please do read the information on the Council website (available from Monday) and to take the opportunity to influence how we spend your money. Having previously championed the Council’s Foster Care service in this report, I am delighted to announce the recent recruitment campaign, Foster Me Foster Us, has won a UK wide award at the Association of Public Services Excellence Awards. The engaging campaign earned the ‘Best Efficiency’ award thanks to generating a 55% increase in new carers’ registrations, while also saving the Council £800,000. It was also praised for its unique style in telling a child’s story. Despite this success, the Council still needs more carers. The latest campaign, which began yesterday, sees Sandy, a little of boy of six, reminding people that there are plenty more children like him who need care in Edinburgh. If you’re interested in fostering, come along to our drop-in evening on 3 October from 5–7pm at Waverley Court. Alternatively, give the team a call on 0800 174 833 or visit the foster care website. Keep yourself in the picture with our news section online. Watch live full Council and some committee meetings on our webcast. Over the last few months, I've mentioned a couple of times that we've been working hard - behind the scenes - to make good on our commitment to publish our 2014/15 Draft Budget proposals before the end of September this year. 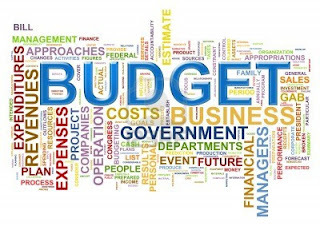 · All local authorities are facing considerable pressure on their budgets due to reduced central government funding, changing demographics such as a rising birth rate and people living longer, and the pressures of the UK economy. 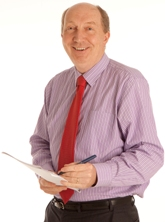 · We are also having to cope with the emerging impacts of welfare reform. · But we remain committed to protecting frontline services and maintaining investment in areas which provide support for our most vulnerable residents. · This includes more support for older people, as well as improving schools, nurseries and facilities and services for children - like foster carers. · Helping people into employment, particularly the young, through initiatives such as the Edinburgh Guarantee and supporting the third sector are our other key priorities. · We have delivered our coalition pledge to demonstrate sound financial management; having a balanced budget, across all Departments, for the outgoing 2013/14 financial year (to date). · Savings have been made in areas such as procurement, property rationalisation and improved partnership working to ensure that we can maintain investment in frontline services. 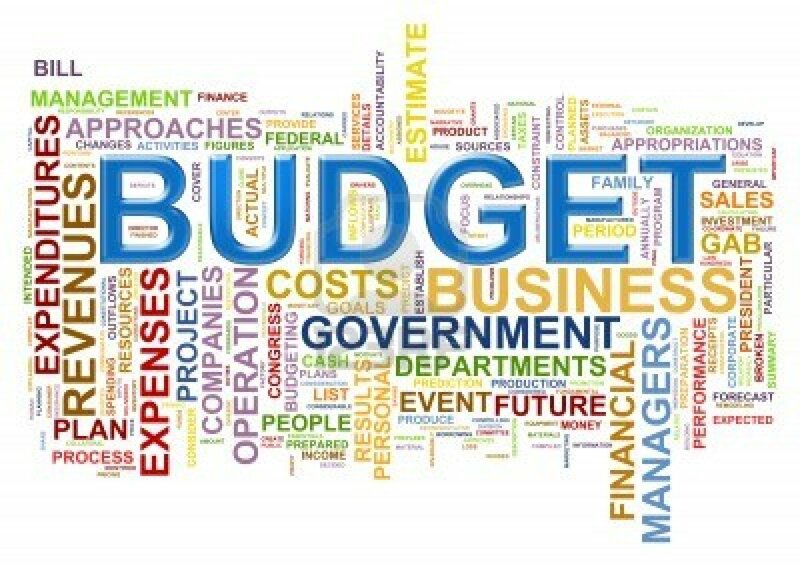 · Last year we published the Council’s draft budget in November 2012 ahead of setting it in February 2013. · This was a new approach to ensure we could listen to what was important to the public when it came to allocating money. 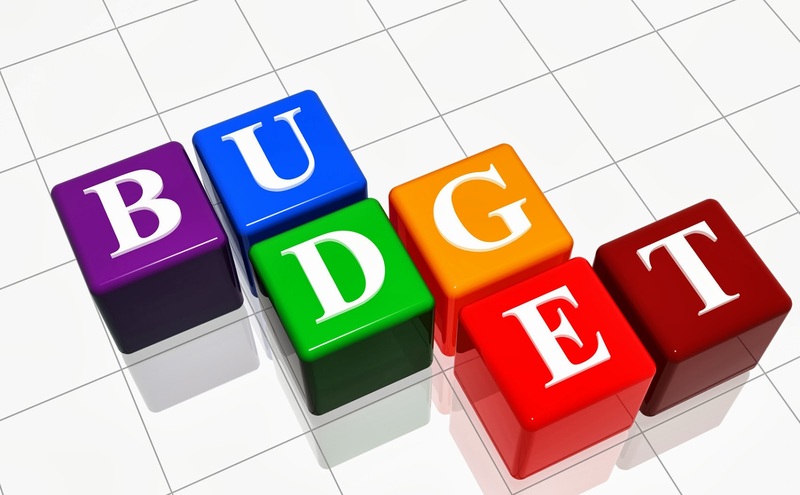 · This year we are leading the way for other local authorities by publishing the draft budget even earlier (September 2013 for final decision in February 2014) to give us more time to listen to the views of residents, local and other interest groups in the coming months. 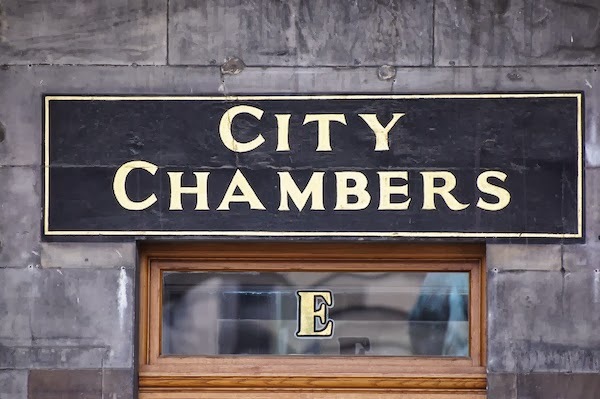 · Given the financial challenges all local authorities are facing over the next few years, we want to invest in the areas that are essential to Edinburgh and so it is important that the public continue to tell us what is important to them. · Several budget decisions which we made in February of this year for the 2013/14 budget – such as doubling funding in roads ,and increasing our investment in education; were influenced by feedback we received from the public. ... huge thanks to all those at Heriot Watt University, and the City Council, who put together a very, very compelling bid. And commiserations to Dundee and Stirling who also put up strong bids. ... I did hint a couple of years ago that I'd stop after ten! --- and, as many of you will know, I am now training for the 2014 Edinburgh Marathon. ... here is a copy of my speech-note, in case any of this is of wider interest? ... I was really delighted to receive the invite, via Archie, to speak at this morning’s launch event for ‘Co-operative Glasgow’. As many of you will know, since the Local Elections in May 2012, we’ve been pursuing a ‘Co-operative Capital Approach’ over in Edinburgh. And it was good to hear from Jim McMahon just now about the Oldham experience, because prior to last May, it was hearing just such experiences from several other Local Authorities, from across the UK, which proved to be a catalyst for our efforts in Edinburgh. · Our weather is far, far better! · And in a stroke of culinary genius, we put sauce on our chips and you – rather bizarrely – put vinegar on yours: why?? BUT – much more seriously – the challenges of delivering good quality local services to our respective constituents; has HUGE similarities across our two cities, regardless of our own political affiliation and foibles. ... but if elements of our Co-operative Approach are not applicable to Glasgow, then absolutely fine; and I hope they may - at least – be of some interest. 1. Firstly, I think a brief canter through the recent history of how we got to where we are – as a city - could be useful, as it will hopefully illustrate the rationale as to ‘why’ we embarked on a Co-operative Approach. 2. Secondly, I thought I’d obviously cover just what it is we are actually now doing within our Co-operative Capital Approach – our content. 3. And thirdly, I want to link that Co-operative Approach; to our very significant efforts to try and ‘do politics differently’, as I believe the two are inextricably inter-twined. So firstly, by way of recent history… I think you’d need to be inhabiting a wholly different world from the one I live in, if you weren’t aware that trust between the electorate and those of us either elected, or employed, to serve that electorate, has broken down badly. It’s not a malaise that just affects Councils, or is unique to Edinburgh; or Glasgow; or Oldham; but as a starting point, I believe it has to be openly acknowledged. Because for me, we’ll never successfully re-invigorate our local democracy if we can’t even bring ourselves to acknowledge that there’s a problem to solve. ... so, in the run up to that 2012 Local Poll, we knew without any shadow-of-a-doubt that we had to have a very different approach and a very bold offer to put before the electorate. And the experiences of Councils like Lambeth, Newcastle, Stevenage, Oldham and several others who were already pursuing a Co-operative Approach ... did have a great influence on our thinking. It led us to take – what at the time – was seen as a huge gamble, by publishing a fully worked-up Draft Manifesto a full 6-months prior to the actual Election, in November 2011. That Draft Manifesto had a raft of Co-operative commitments, based on a combination of local experience and external influences; from many of the Councils I’ve just mentioned – and we thereafter consulted on those Draft proposals, all the way through to early February 2012. Remarkably we received over 100 full-submissions from organisations in Edinburgh to that consultation; and just over 1,000 submissions from individual members of the public. It really did set the tone for our local election campaign. We changed the Draft in late February, based on the feedback we’d received, and published the final version in March on the first-day of the Local Government Elections formal campaign. … and also to underscore that the ‘gamble’ to acknowledge we didn’t have all the answers and to ask local residents for their help and input; did pay off electorally. But it also hopefully marks out that our Co-operative content and our Co-operative approach of doing things differently - both of which I’ll expand on in a second - both took shape as a direct result of that very early decision that political business as usual, just simply wasn’t an option. And, I’m delighted to confirm, that political business as usual, we are not in Edinburgh experiencing! So that does lead me to my second point --- what about the content of our Co-operative Capital Approach? … and let’s be honest, not just in Edinburgh I’m sure, Local Councils have in the past, all too often adopted a ‘top-down’ approach that didn’t always reflect, or respect, local input. And, in essence, what Edinburgh’s new Coalition wanted to do was to start a process of radically transforming the way that services were planned, managed and delivered; and to move Edinburgh towards being a more ‘Co-operative Council’. We want Council services to be transformed by shifting power; so that the Council is working much more ‘in partnership’ with the local people it is ultimately there to serve. … and, crucially, can lead to a real transformation in the relationship between the electorate and those elected and employed, to serve them. This approach is about giving local people a refreshed sense of choice and control, over the public services they use. (v) co-operative services – generally; doing what we can to place service-users at the heart of service design and service delivery. Now; the way different services in Edinburgh work, will – and does - vary, but the objective of finding new ways of working in partnership with local people will remain constant. And over recent months, we have certainly not considered turning absolutely all services into co-operatives, and we certainly have not simply replaced skilled professionals with volunteers. It has though been about giving local people a renewed sense of choice and control over the public services they use. So – such a co-operative approach does put people much more at the centre of decision-making and provide the opportunity to develop new and imaginative ways of supporting communities, empowering people, delivering services and caring for public assets. We are working to develop a new partnership with local people, in a radical bid to improve public services and strengthen local communities. As I said earlier --- instead of doing things to our communities, a ‘Co-operative Edinburgh Council’ will work with our communities to make sure local services meet the needs of local people. It is marking the end of top-down services where residents are expected to put up with what’s on offer. … and, as I’ll outline in a minute, it’s not just about developing cooperatives; but has to be about a whole new approach to the way we work, and the way we engage with our electorate. We have established an SLA with LAYC to support the Out of School Care sector, to identify and help those who wish to transition to co-operative status. One club has applied to the Co-operative Enterprise Hub and the process involved with this club will provide a road map for others wishing to change their governance arrangements. The Co-operative Education Trust is working with the Broughton Cluster of schools to develop an action plan that will include transition activities based on co-operative principles, values and practices between nursery, primary and secondary schools. As part of our Market Shaping Strategy we are supporting the development of personalised services and self directed support to launch an Innovation Fund (£300K in 2013/14 and £100k in 2014/15. We are specifically inviting applications to the Fund, to be launched on 1 October 2013, for a contribution of up to £50,000 towards the costs of establishing an employee owned health and social care co-operative. The Edinburgh Development Group has asked for support and advice with a view to establishing a Care Co-operative for the benefit of adults with severe disabilities, to be managed by their parents/ siblings. The aim is to establish a workforce, providing care and support. The aforementioned fund will provide a route for the Group to apply for the modest funding they need to progress the formation of the co-op. We are exploring funding options to make CEC/NHS Lothian e learning/workforce development tools available to voluntary/private sector health and social care services, via co-operative venture, to standardise the induction and other training all care workers in Edinburgh receive, regardless of who their employer is. We are establishing a dept team to raise awareness of co-operative development opportunities and better co-ordinate our response to expressions of interest in these. · District Heating / CHP. Edinburgh Community Energy Co-op is working with CEC on a solar photovoltaic and is currently identifying suitable locations for these projects. A group of housing associations has researched the potential of an energy supply company to benefit tenants. They will develop a business plan with a view to being operational in 2014. Castle Rock Edinvar will work with CEC to take this forward. Harlaw Hydro is an Industrial Provident Society created by the Balerno Village Trust to install and operate a micro-hydro electricity generator at Harlaw Reservoir. A community share offer raised the funds for this. Income generated will allow Harlaw Hydro Ltd to contribute to projects in the local area through the Balerno Village Trust. A Cross Party Political Sounding Board for co-operative approaches to housing has been established and the first meeting was held on 20 March 2013. · Evaluating the ‘value for money’ implications of co-operative models. Opportunities for co-operative housing/ estate management are being explored for new developments at West Pilton and Greendykes with a view to developing a model for Community Co-ops to be piloted with new tenants from 2014. We are considering whether Community Land Trusts provide a co-operative model for delivering new homes. We are exploring potential for a community led co-op approach to furniture and support for new tenants and residents. Discussions have taken place with ETF and work is being taken forward through our Empty Homes Action Group. And whilst these 4 broad areas are our initial targets, we are absolutely not excluding progress in other areas if opportunity– and beneficial circumstance - arise. And we have a Conference Event just next month to publicly update on progress across these areas, and that will feed in to a formal report to go before our Full Council Meeting in November this year, ensuring proper scrutiny of these activities. And that does lead me to my third point; and the linkage to our very significant efforts to try and ‘do politics differently’. Because – for me - all of this has to be part of a wider, new approach. As already mentioned, the outcome of last year’s local election in Edinburgh led to a local coalition between Labour and the SNP. We agreed a clear set of some 53 commitments, in a new ‘Contract with the Capital’. That contract was openly published, and within weeks, the ‘monitoring against delivery’ of our promises was live and very visible via the front-page of the main Council website … and continues to be so, with six-monthly reports going to Full Council Meetings. But the delivery of those promises can’t be a one-way street, there has to be an on-going, two-way dialogue, with residents, about their role in just what their Council does for the remaining 4-years. 1. We have established the first Petitions Committee, and petitions process, in Edinburgh. That Committee is Chaired by a Member of Edinburgh’s Opposition Green Group. This has all helped enable local residents to have an additional channel to raise issues of concern, with their elected representatives, and directly with the Council. 2. 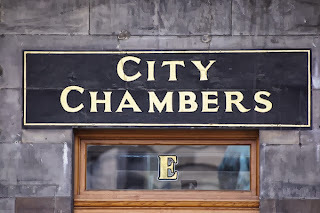 We have completely overhauled our scrutiny function; and established a new Governance, Risk and Best Value Committee; again Chaired by a Member of Edinburgh’s Opposition Conservative Group. 3. We have also completely revised our budgetary process, which has led to the publication of a draft budget – for the first time in decades, in Edinburgh. We published that draft budget in November last year, and for this upcoming 2014/15 Budget we’re actually publishing our draft next Friday allowing a full 3-months of public consultation prior to this Christmas, and the eventual setting of the final budget in February. 4. We’ve also created a renewed focus on neighbourhoods and communities within our decision-making structures, and ‘worked-up’ proposals for the next stage in the development of our Neighbourhood Partnerships (Neighbourhood Committees) will be put before the Full Council for debate and decision just next month. 5. We’ve also ensured direct, parental representation within our Education’ decision-making processes, by placing a Parental Rep. on our main Education Committee, with the same voting-rights as any other Member on that Committee. 6. And last – but by no means least – we’re webcasting (both live and archived) all of our Full Council Meetings, and an increasing number of our regular Committee Meetings. - and upon which future co-operative developments can be designed and delivered, right across Edinburgh. We do need a new culture of ‘letting-go’ and, wherever feasible, putting residents and service-users at the heart of service design and service delivery. And that’s what we’re working – slowly but steadily – towards. 2. just what it is we are actually now doing within that Approach – our content. 3. And thirdly, the very significant efforts we’ve made to try and ‘do politics differently’. - and I’ll be delighted to answer any questions in the forthcoming sessions on today’s agenda.